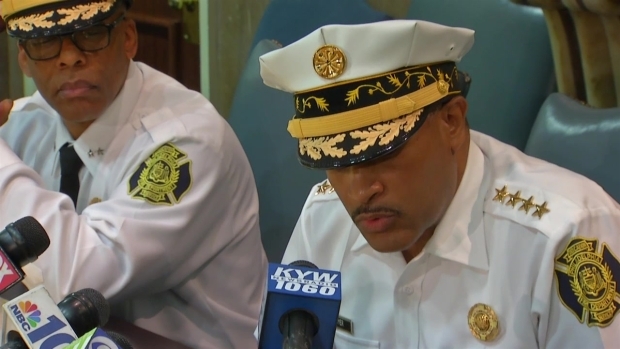 Addressing criticisms and allegations that the response to Saturday’s fire that killed four children was delayed, Philadelphia Fire Commissioner Derrick Sawyer revealed the official response timeline as well as the 911 calls during two separate press conferences. The fire began at a home on 6516 Gesner Street on Saturday. The nearest fire station, Engine 40 & Ladder 4, is located on 6438 Woodland Avenue, approximately .1 miles away, a 35-second driving distance and 2-minute walking distance. Commissioner Sawyer first revealed the timeline of the response during a press conference on Monday. 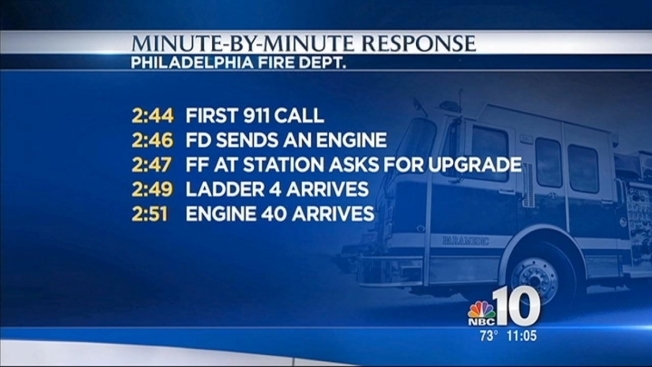 Philadelphia Fuire Officials released the 911 calls and provide a second by second account of the response time to the row home fire that killed four children. According to fire officials, the fire grew from three houses to eight houses in ten minutes. NBC10's Harry Hairston has the details. Addressing allegations that the response to a fatal fire that killed four children was too slow, Fire Commissioner Derrick Sawyer revealed the official timeline during a meeting Monday night. Sawyer then released a more detailed timeline as well as the 911 tapes during a press conference on Tuesday. Sawyer revealed the times that four of the responding units left, the times that they arrived at the scene of the fire and the distance they traveled. Finally, Sawyer released the transcripts and times of the 911 calls. 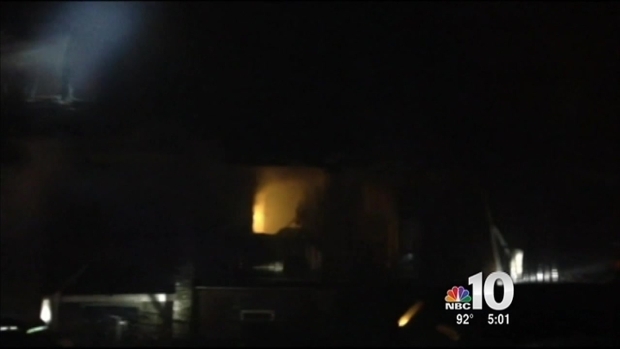 "The incident went from three houses to eight houses in 10 minutes," Sawyer said. "If that fire were burning for 30 minutes like everyone said, the whole block would've burned down. Think about it." Jeffrey Boone was the first person to call 911 to report the fire. Boone told NBC10 on Tuesday that before he made the call, he grabbed a fire extinguisher to put out the flames himself but couldn't open the porch door to get to it. Boone also said he was frustrated that it was a Ladder truck rather than an engine truck that arrived at the scene first. "As far as the first truck showing up and not having water, that's the main problem," Boone said. "If somebody calls you for a fire, the first thing you should have is a truck with water, not a truck with a ladder." Boone also admits however that the fire moved so quickly that the response time may not have made a difference. While officials know when the first 911 call was made, they still don't know the exact time the fire actually started. They continue to investigate the cause as well as claims from witnesses that a firecracker sparked the blaze.